You’ve probably invested thousands of dollars in your gun collection, and protecting it is a smart move. 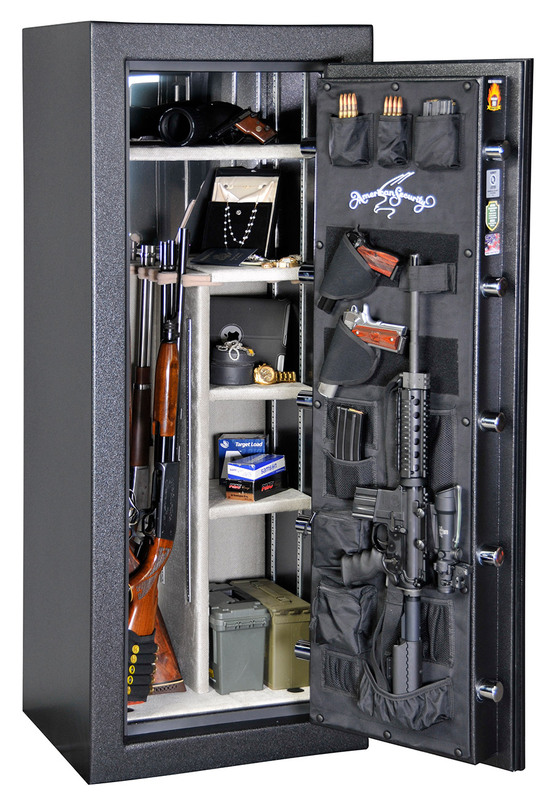 But pick the wrong gun safe or gun cabinet, and your investment could be gone in the blink of an eye. Many of the so-called “premium” gun safes sold at big box stores can be opened by a thief in less than 2 minutes. Would you feel secure with that level of protection? 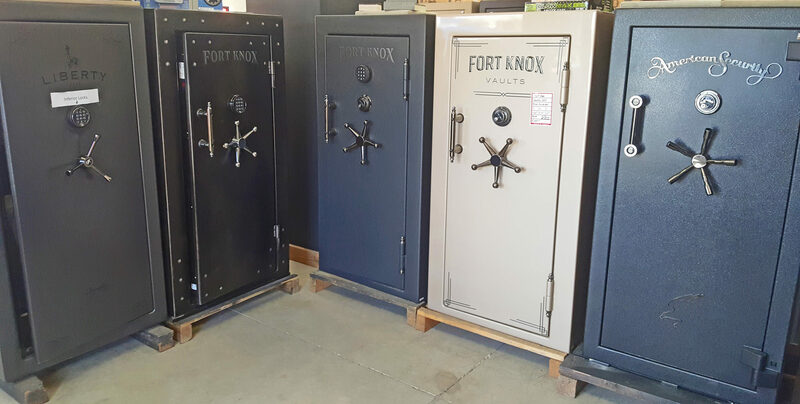 Unlike the box stores and gun shops, we can service the safes we sell — from the best gun safes, gun cabinets, and handgun safes in Grand Rapids, and even built-in vault doors! We stock lots of useful gun safe accessories too. With the safe door open, put your knee into the front of it. Then pull hard toward you at the top of the door. Chances are very good that you can feel the door flex. Imagine how easily it would flex if someone were using a pry bar. Seeing is believing! Come to Hoogerhyde and we will show you steel up to 1″ thick! Does the Gun Safe Door Fit? Many of the gun safe brands sold in box stores have large gaps around the door. These gaps are permitted in mass production so that manufacturers can make a large number of safes cheaply. Although these safes are cheaper upfront, they come at a big cost. Large gaps around the door allow pry bars to slip through and make the safes much easier to open—leaving your investment worth thousands of dollars exposed to thieves. It may seem like a natural fit for gun stores to display and sell handgun safes and gun cabinets. But just like we don’t know enough about guns to provide proper advice and service for weapons, gun stores don’t have appropriate knowledge to provide advice and service for safes. To them, safes are a sideline or just a way to boost sales and profits. 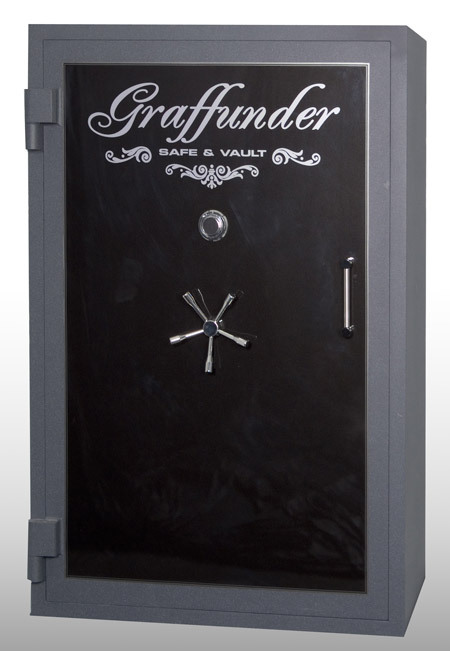 At Hoogerhyde Safe, safes are our business (you can tell by the name, right?). We know more about safes and gun safe accessories because we work on them every day – just like a gun store works on guns every day. There are good security reasons why we do not sell the brands of safes you normally see in gun stores. Fit: Strong, secure doors that fit properly. Honesty: Knowledgeable, experienced experts who will help you find the safe that’s right for your gun collection. Warranties: Honest, superior warranties — not industry-standard deception. Delivery: We will promptly deliver your safe for a reasonable fee. Gun owners can rest easy knowing the safe they bought at Hoogerhyde is protecting their valuable investment. We offer sales, delivery, and service for the highest-quality gun cabinets and safes, handgun safes, vault doors, and gun safe accessories. Come into Hoogerhyde in Grand Rapids today—the safe place to shop. 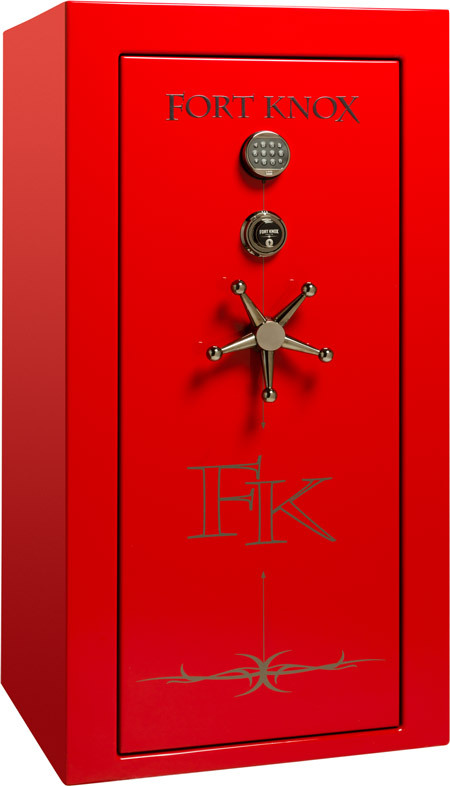 For really serious security in your new home, please visit our vault doors page for more information.